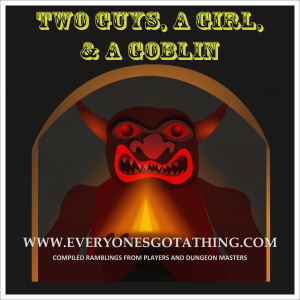 » Podcasts » Archive by Category "2 Guys a Girl and a Goblin"
I sat down to talk with filmmaker Douglisio DiMuccio about his experiences as a DM, disappointments as a player, and being super prepared for games. Douglisio’s newest movie is called Neo, and you can find the details below. Ambient music and sound courtesy of and © www.tabletopaudio.com. Used with permission. In the first episode the series, I sat down to talk with Leo Jenicek of The Pod of Many Casts. This week, I spoke to the DM for that show, Scott Brown, who does an excellent job of keeping up with all the nonsense Leo and the other players pit against him. We talk about Scott’s background with RPGs, and how he handles some truly protean characters while still moving the story forward. 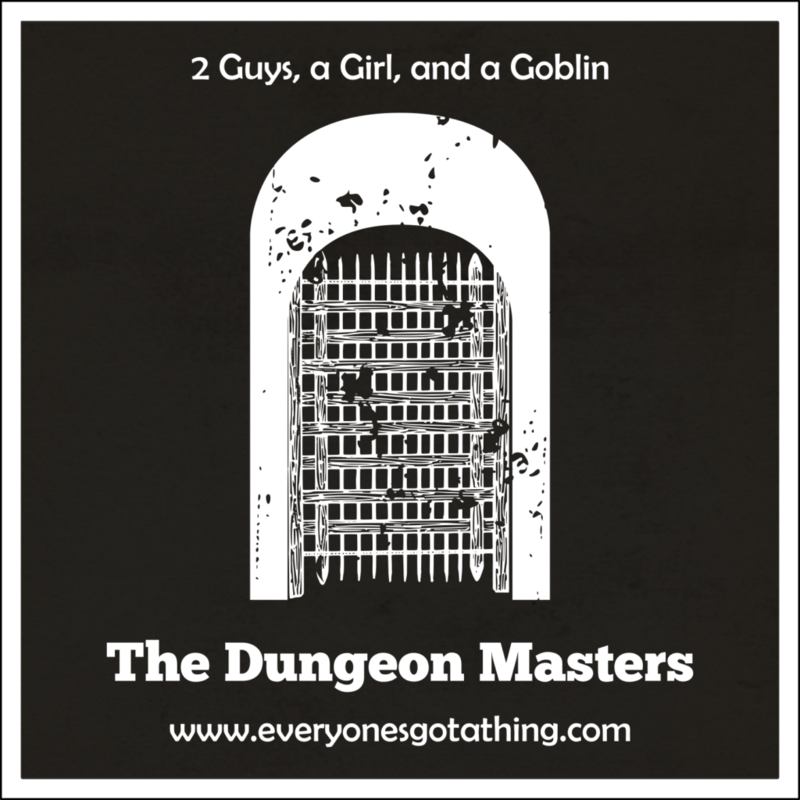 In the second episode of our interview series “The Dungeon Masters,” I sat down to talk with Derek Krentz who you will recognize as one of the players on this very podcast. Derek is both one of my players, and one of my dungeon masters, so we talked about the games we’ve both run and played. In the first episode of our interview series “The Dungeon Masters,” I sat down to talk with Leo Jenicek of The Pod of Many Casts. I met Leo at GenCon a few years back, and I’ve kept in touch over the years, and thought he’d be an interesting guy to talk to about what it means to be a DM. I was not disappointed. Leo plays the role of Lord Cornelius Ashe on The Pod of Many Casts, links to which are below. You can also read Leo’s writing at jenicek.org and read his daily D&D inspired haikus at @d_and_dhaiku. Hobgoblins dispatched, and off to further adventure at the Old Owl Well! With their business finished in town, our heroes head out to further adventure! The dungeon is clear. It’s time to figure out where we go next. S3E19 – The Lost Mines of Phandelver Pt 19: Are You Trying to Kill Yourself with Meat? The wizard is defeated, and our heroes slaughter the rest of the dungeon. S3E18 – The Lost Mines of Phandelver Pt 18: I Didn’t Realize this Beer was 8.5 Percent Alcohol. The wizard attacked our dwarf, and now he’s dwarf pissed. It’s time for revenge as the party attacks the goblins and bugbears that killed their previous characters. Donations go to paying for equipment and hosting. If we make anything extra, we might take our lady friends out for a nice dinner. Please consider supporting the "Keep Jim's and Aaron's Relationships Strong" fund. Buying through Amazon helps support the show, too. Just click the link below and shop as you normally would. Doesn't cost you anything extra, and we get a little bit in return.